leading dedicated toy retailer, Toys“R”Us®. 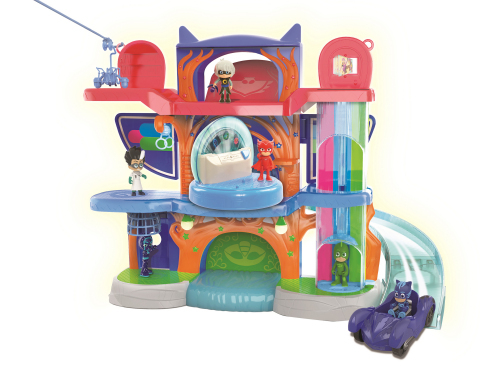 action-packed PJ Masks Headquarters Playset. with other PJ Masks 3” figures and vehicles, sold separately. figures inside for teamwork-powered adventures! or follow the company on Twitter (@JustPlayToys) or on Facebook (www.facebook.com/JustPlay).